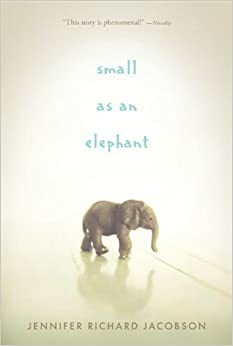 The book Small As An Elephant, by Jennifer Richard Jacobson, is a story about a boy named Jack and his mother. They went on a family camping trip to Acadia National Park in Maine for three days during the summer. During the drive, Jack and his mother got into an argument. They didn’t speak to each other for the rest of the night. When Jack woke up in the morning his mother was not there. “Mom?” he waited for an answer. “Mom?” He repeated again but this time with sorrow in his voice. Jack wondered if his mom had stranded him there because of their argument, or because she was in trouble, or if she had moved her tent because there was uneven ground beneath her. Jack didn’t want to tell the police that his mother had gone missing or that she had abandoned him. Since this has happened before, Jack was a pro at being by himself. Jack decided to stay at the campsite for his mother to return. And there he waited for two whole days. No sign of his mother made him worry. The last time this happened, he thought, it was only for about a day and a half. Jack decided to pack up his stuff and head out to look for his mother. This book was phenomenal. With every page flip I was hooked on what was coming up next. The suspense made me want to keep reading. The genre of this book is Realistic Fiction.The opening paragraph was unique and made me want to read more. “Elephants can sense danger. They are able to detect an approaching tsunami or earthquake before it hits. Unfortunately, Jack did not have this talent. The day his life was turned completely upside down, he was caught unaware.” Small As An Elephant has gotten many great reviews talking about how inspirational and fantastic it is. I strongly recommend you read this book.